The Soldiers of Odin were founded by a violent neo-Nazi and are considered an anti-Muslim hate group and prone to violence. 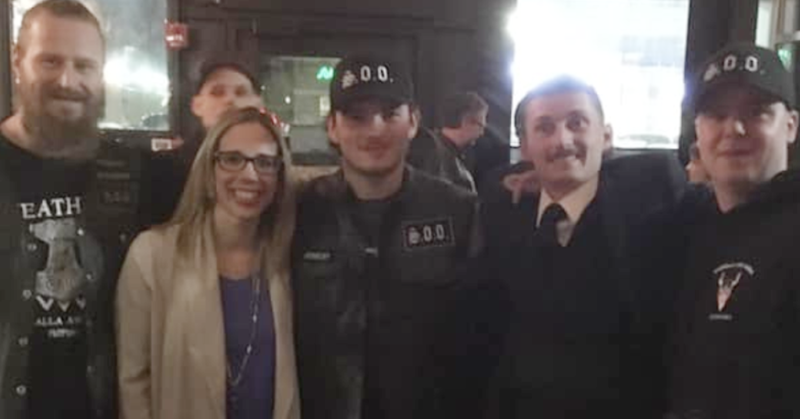 The group’s Edmonton chapter has made headlines for establishing vigilante patrols and organizing anti-Muslim rallies. Kenney and the UCP have tried unconvincingly to spin the photos as a “deliberate” act of “political mischief” designed to embarrass the UCP. Despite this, Coulter is the only nomination candidate involved in the fiasco who has not yet denounced or offered comment on his meeting with the hate group. In fact, as members of the provincial media note, Coulter seems to have gone AWOL following the incident. Though he has kept a low profile since the photos surfaced, Coulter’s social media feeds show a history of interacting with white nationalist and alt-right content. Coulter follows far-right, anti-Muslim Facebook pages like Never Again Canada and interacts with fringe, alt-right YouTubers like Ronnie Cameron, a self-proclaimed white nationalist who broadcasts anti-immigrant rants via webcam. 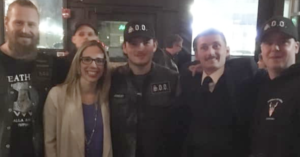 Coulter’s social media history shows he has interacted with CAP leader Brad Salzberg and CAP’s content at least several times in recent years. 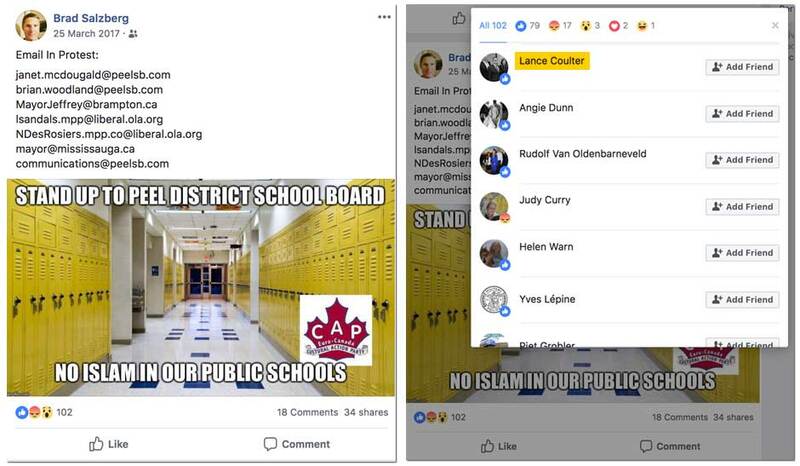 Last year, Coulter gave his approval to one of Salzberg’s postings that was branded with CAP’s logo calling on his followers to blast Ontario school board officials with e-mails calling for a muslim ban in public schools. “Stand up to Peel District School Board,” the posting “liked” by Coulter reads. The anti-Muslim campaign targeting Peel District School Board was largely the creation of far-right YouTuber and fringe mayoral candidate Kevin Johnston. Last year, Johnston was charged with hate crimes after he offered his YouTube followers a cash reward for videos of Muslim students praying. 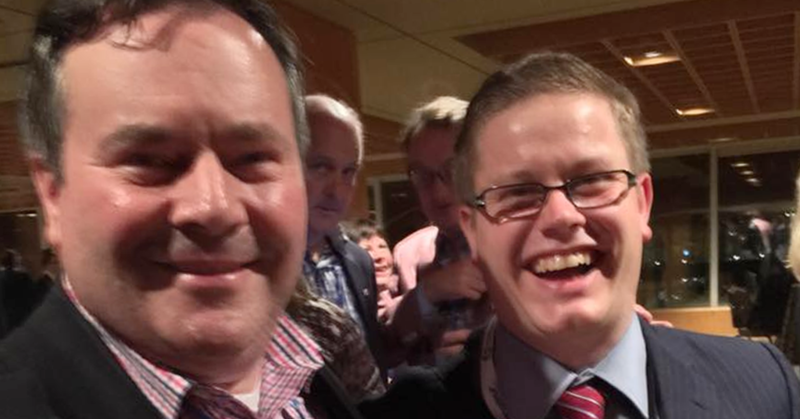 At the time of the postings, Coulter worked for the House of Commons as an assistant to Conservative MP Kerry Diotte. 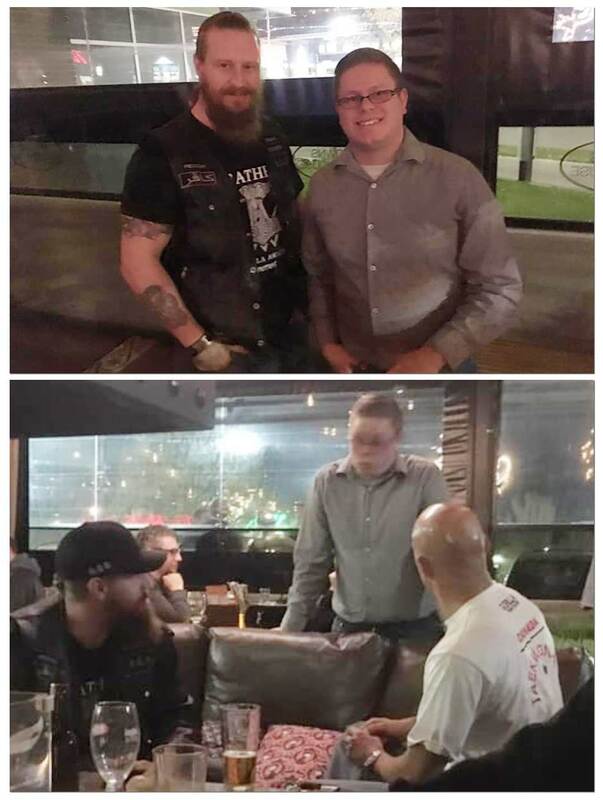 Update: Following publication of this story, StarMetro Edmonton reported the UCP hopeful defended appearing in photos with the Soldiers of Odin and also reacted to this story.